thanks to Alisa who found this one at Gypsy Hill Park duck pond. She says "I actually have no idea what they're trying to communicate to me with that message. " Me neither, Alisa. 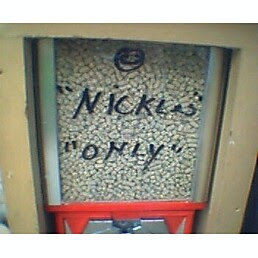 maybe what they really mean is you can use other coins "only" if you call them "nickles." two in one day? "crazy!" 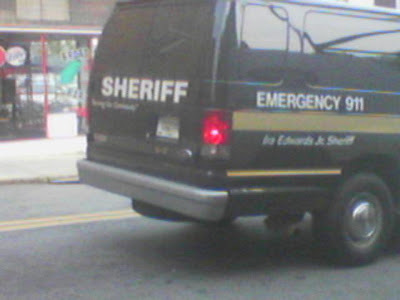 frequent contributor Jon sends me a photo of this sheriff fan which says on the back "serving our community." Nicely spotted in downtown athens. 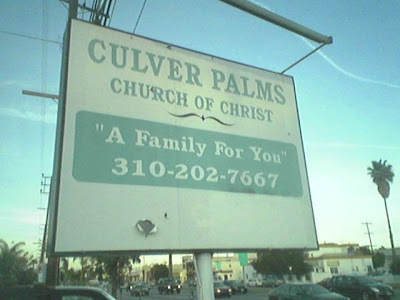 Jon pointed out that this sign near our home has quotation marks on it, so I took a little walk and got a picture. That's right, I exercised for this blog. 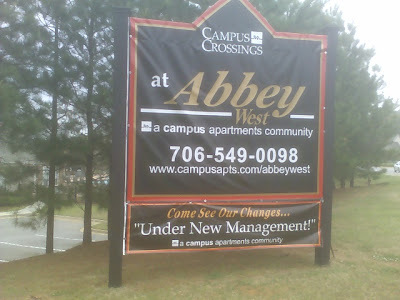 Jim suggested that "under new management!" means it's not really new management, just different owners who hired the same managers. I like to think they are trying to remind us of the strange use of the preposition "under" - don't worry, they aren't REALLY on the roofs! my colleague and neighbor Jon spotted this near our home. 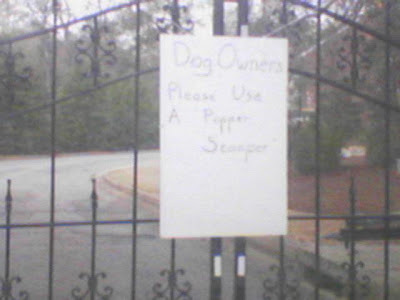 It's hard to read, but this is what the sign says: Dog Owners: Please Use a "Pooper Scooper"
maybe this is defensible because it is using the brand as the generic, but we don't do that with "kleenex" or "Q-tips." this blog is henceforth my "job"
thanks to Kiraa of Ex-Everything who spotted this ad on Yahoo! Radio! Although I suppose it's accurate this way. This coffee is "amazing," ie. unremarkable. Two items that are related, but tangential to the purpose of this blog. 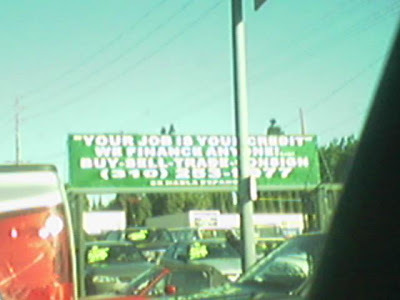 tangent 1: Jim sends me this sign, noting that the quotation marks aren't unncessary, but isn't what's inside them weird? tangent 2: legal decisions based on punctuation? That, my friends, is why being a stickler is important. my sister got a new purse and this was inside it. I'm not sure if you are supposed to eat it, or "not." this is "a blog for you"